One of Eversharp's final models, the Symphony 917 features a plastic body, and a wide cap band. Flexible and manifold nibs. Product Name Symphony 917. This is marked model 917 and it's part of the Symphony line. 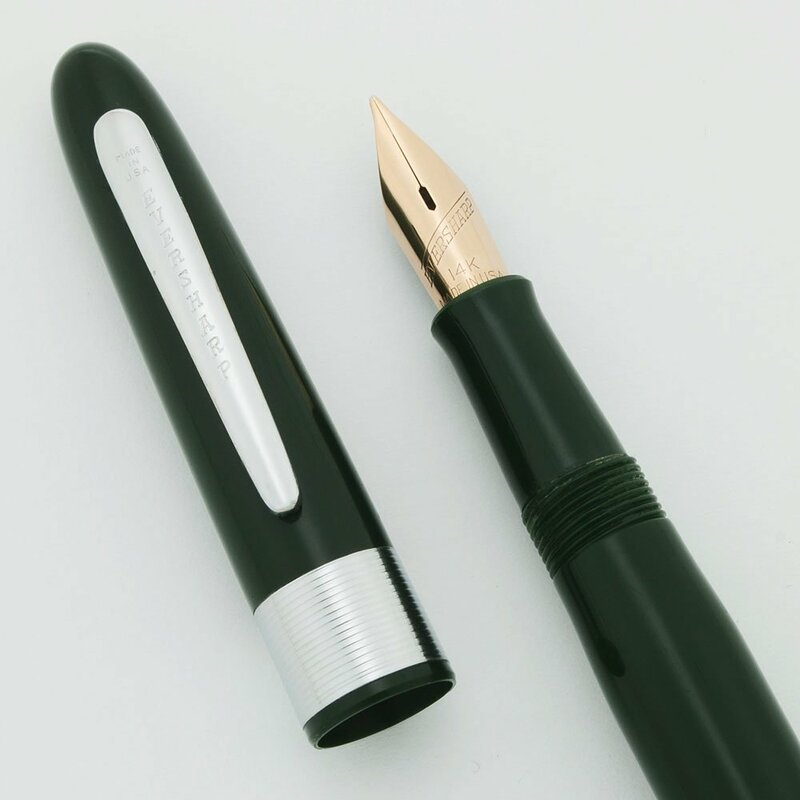 This model has a wide cap band and a larger nib that is found on models 714 and 913. Manufacturer and Year Wahl Eversharp, circa 1950. They made the Symphony pens from 1948 to 1952, and we believe this is one of the last models and may have been made in the late 1950s. Color We mostly have these in green, but if we have other colors it will appear in the pull down menu. Nib 14k flexible and manifold nibs. These are large sized nibs, similar to the nibs on Skyline pens. Condition New old stock, never used or inked. They have been sitting around for 60 years! We've cleaned them up and re-sacced them, and they are ready to write. Perfect condition. We fully guarantee the pen, and you can expect it will write beautifully from the start. We have had these pens in the past and they have been extremely popular with customers looking for classic vintage flex in a 14k nib. They are remarkably nice writing pens with expressive flex and generous ink flow.